When and why do bees sting? And what happens in the human body when they do? 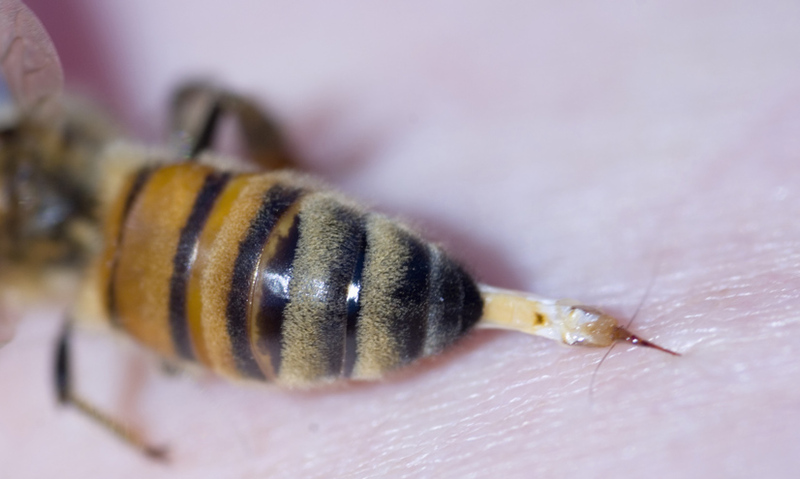 Why are bee stings only a nuisance to some people, but life threatening to others? Bees sting people to protect themselves. Bee stings contain melittin toxin, histamine and enzymes. Some people can suffer severe allergic reactions to bee stings and go into anaphylactic shock. Bee stings can be treated with antihistamines, or resuscitation and epinephrine in more aggressive reactions. Worker bees perform many tasks, including nectar and pollen collection, cleaning the hive, taking care of larvae, and defence. Their main means of protection is their sting. All female bees are able to sting, injecting their target with a complex mixture of toxins from their venom sac.